Summer 2008… The hype for Christopher Nolan’s The Dark Knight was at a fever-pitch. The early release of a prologue scene, coupled with fantastic trailers, had caught the attention of seemingly everyone.. bat-fan and non-bat-fan alike. After distinguishing himself with neo-noir crime dramas such as Memento and Insomnia, Nolan was handed the keys to the character by Warner Bros., years after the financial failure of 1997’s Batman & Robin. 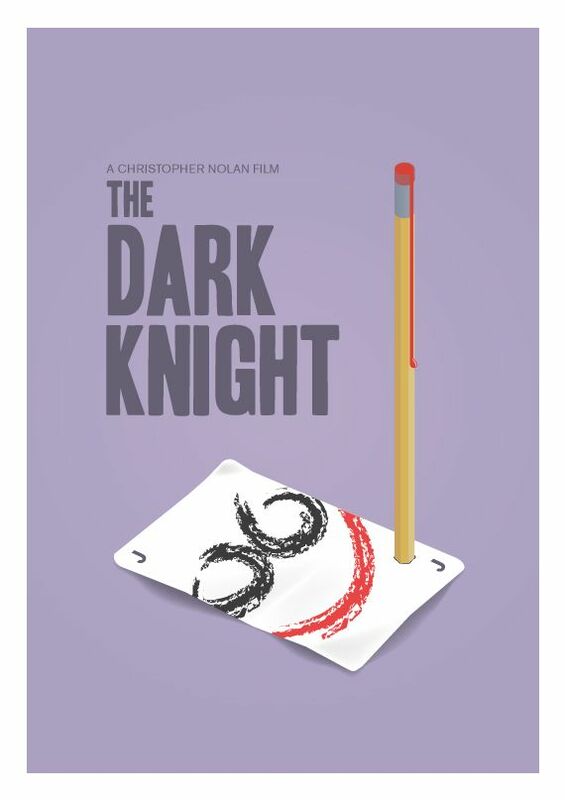 Nolan’s 2005 reboot, Batman Begins, was well received and a solid box-office hit, but nothing on the scale of The Dark Knight, which made almost three times as much worldwide. The film was so beloved that its Best Picture Oscar snub led to public outcry, which in turn prompted the Academy to widen its nomination field to 10 films the next year. The failure of the supremely garish Batman & Robin convinced studios to hire more acclaimed directors for future projects, such as Sam Raimi for Spider-Man, Bryan Singer for X-Men, and Nolan. And finally, the triumph of The Dark Knight transformed a non-prestige genre into a key part of every studio’s strategy moving forward. The tragic death of co-star Heath Ledger had only increased the anticipation for the film. The actor was generating buzz for his portrayal as the Joker before his passing in January of that year, and after Ledger’s demise, rumors began circulating that he had taken the role of the Joker so seriously that it had ultimately destroyed him. These rumors were rubbish – friends and family (not to mention the crew of The Dark Knight) would go on record numerous times stating that Ledger was having an absolute blast playing the Clown Prince of Crime. But the legend stuck – even after the debunking, some still thought that maybe, just maybe, the Joker was the role that killed Heath Ledger. And that only increased the excitement to see the film. The Dark Knight is elegantly excessive, a confluence of Nolan’s film-tech obsessions, philosophical puzzles and wealth of popcorn movie knowledge. Everything that can be explored — architecture, performance, film chemistry, noir tropes, screenwriting “rules,” practical special effects, Ethics 101, action geography, orchestral sound, the Levenson Self-Report Psychopathy Scale, pragmatic costuming, the spectrum of humor, truck mechanics — is explored. The DNA of The Dark Knight is geek in nearly every way, except for the fulfillment of page-to-screen recreation. It was both a great gift and a curse for the future of DC movies. For the decade since, Warner Bros. has been chasing the dragon that is The Dark Knight. The movie’s success made DC a priority for the studio. However, they also wanted to do what Marvel Studios had started doing with the Marvel Cinematic Universe. So, they quickly cobbled together an interconnected universe that largely hasn’t worked, despite the fact that many DC fans like what has been done. It’s at the very least divisive. If there’s one lesson that can be learned from The Dark Knight now, it’s that Warner Bros. should focus much more on individual character stories within the DC universe moving forward. Its legacy still looms large, for better and worse. Here is the story of how Christopher Nolan changed the face of superhero movies forever. The story of how one movie proved that comic book adaptations could be a lot more than kids stuff. And the story of how some of it backfired, giving birth to a new era of fandom that just wanted to watch the world burn.